Looking for Bali is a new collection of intimate full-colour images from photographer Michael Dean Morgan documenting the realities of life on the island of gods, Bali. Reproduced and displayed along with captions and an introduction by photographer Rio Helmi, Looking for Bali features a series of colour images capturing the Balinese human story that can be found in many areas of island life; whether it’s in a small family-run warung, a village healer making house calls, or in the face of a fisherman who has returned home from sea. Meet the photographer, hear about the making of the book, and view an exhibition of Michael’s photographs on the 27th of October at Rio Helmi Gallery & Cafe in Ubud. Every morning and late afternoon villagers and urban dwellers everywhere on Bali gracefully set out their iconic ‘Canang Sari’ floral offerings to their pantheon of Hindu-Bali gods. Bakso, or ‘meatballs’ serves as almost a staple for many Indonesians. Bakso is are usually served in a bowl, like soup, with noodles, beancurds (tofu), egg and siomay. Extremely popular, bakso is a cheap, and can be eaten as a snack or main dish. The Balinese Mangku are some of Bali’s more intriguing and mysterious characters. 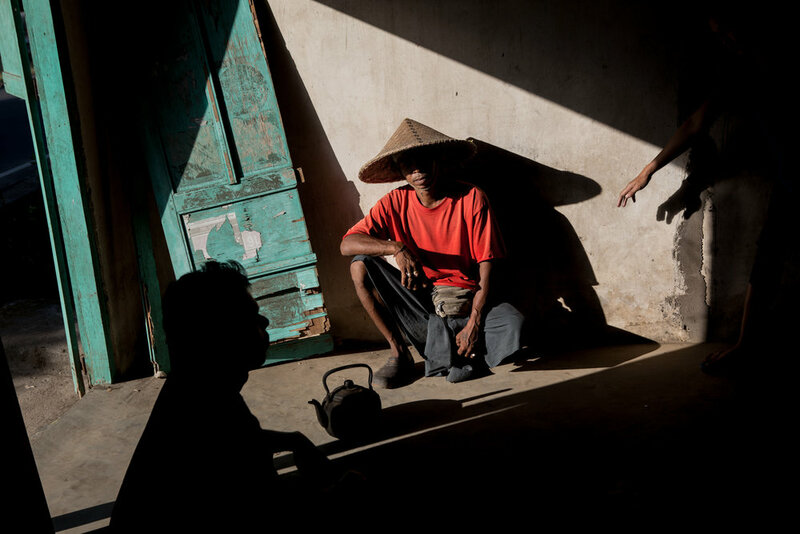 What might be the equivalent to a buddhist monk or christian priest, the Mangku are the keepers of information, the link between man and spirit, and the guardian of ancient balinese hindu tradition.